In the early 1880s a young girl called ‘Krao’ was taken from her home in Laos, then a vassal state of Siam, to the cold metropolis of Victorian London by William Leonard Hunt, a showman known as ‘the Great Farini’. The girl, probably about four at the time of her capture, was of unusual appearance. She was covered in thick dark hair and rumour had it that she had ‘a double row of teeth’, ‘pouches in the cheek’ and ‘double-jointed knuckles’. Krao was exhibited by Farini at the London Aquarium in a display that labelled her as ‘The Missing Link’ between animals and humanity. She drew large crowds and attracted huge attention in the press and periodicals. The exhibition of Krao was a kind of performance most commonly associated with what was called the ‘freak show’. Such a term is considered offensive today, but in the 19th century it was used without question. Freak shows might be held in shops, music halls, fairs or, as in Krao’s case, aquariums. People flocked to freak shows in immense numbers. Within this world, Krao was a star. Historians have to be careful in examining and writing about cases like Krao’s. As a child she could not have given informed consent to her display in London, let alone her removal from Laos. Today we would consider such actions to be child abuse and trafficking. By discussing Krao, and particularly by publishing photographs of her, we also risk reproducing a situation where her body was displayed and ridiculed. We might even say that we become the new audience of the freak show. Nonetheless, failing to write about her also has its problems. 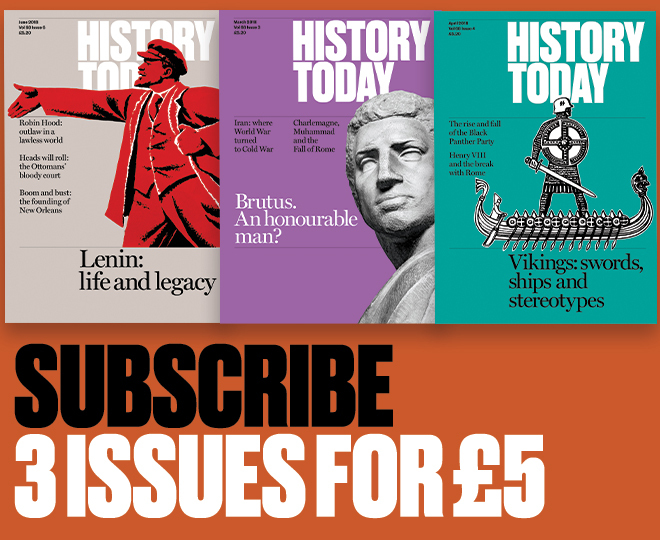 As historians, we need to understand the society in which Krao lived, which, after all, existed just 140 years ago and has greatly informed contemporary British society and culture. This includes looking at its uncomfortable elements. In Krao’s display we see a society that ridiculed and discriminated against people who were considered ‘different’, whether that difference was defined by race, gender or disability. The physical display of people considered to look different or unusual has a long history. In the medieval and early modern periods, people who looked different – with, for example, birth defects – were considered ‘monstrous’ and attracted lots of attention. Much of it was unkind; they would be mocked and ridiculed at best, considered possessed or demonic at worst. For a long time disabled people had been used as entertainment: the ‘court jester’ of short stature being a prime example. During the 18th and 19th centuries people who were considered different, particularly those with a physical disability, tended to be displayed more systematically in both Britain and the US. From the 1840s, the word ‘freak’ (short for ‘freak of nature’) came into popular usage. From then on, these displays or performances were openly discussed and advertised as ‘freak shows’. It is difficult to emphasise how popular these shows were. Because they were often touring shows visiting large cities and small villages alike, they attracted thousands of people each year. This was helped by the low entry fee, with some charging only a penny for admittance. They were also accessible; you did not need to be highly educated to enjoy the freak show. They appealed to every class, and to adults as well as children. Although freak shows were primarily for entertainment, in the Victorian period they also became bound up with ideas about science. People who were considered different could also be displayed for apparently ‘scientific’ purposes. They could be poked and prodded, asked questions and otherwise interrogated physically and verbally. 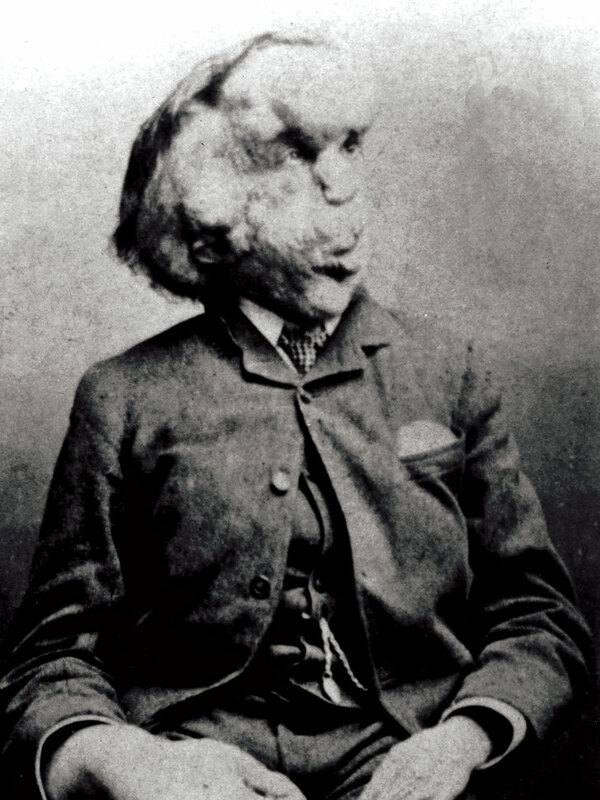 This was the case with Joseph Merrick, the ‘Elephant Man’. Originally Merrick was displayed in a small and, by all reports, seedy sideshow in Whitechapel. Among the visitors to this freak show was Frederick Treves, a doctor at the nearby Royal London Hospital, who wanted to see Merrick as part of his medical curiosity. It was Treves who eventually ‘saved’ Merrick from display after his escape and abandonment at a fairground in France. Nonetheless, the alternative life he provided for him, as a semi-permanent resident in the hospital, still involved being examined by multiple people. While Krao was displayed for entertainment, the Great Farini and other people involved in marketing her exhibition used a pseudo-scientific rhetoric, relating to the recent discovery of ideas about evolution, to bolster their show. The popular magazine, Bell’s Life, wrote: ‘This human monkey is no lusus naturae such as bearded women, spotted dogs or giantesses’, simultaneously grouping her with traditional freak show acts while emphasising her singularity. While Krao was the one on display, Farini, her Canadian exhibitor, was a fascinating person in his own right. Born in 1838 as William Leonard Hunt, Farini adopted his stage name in early adulthood as he established himself as an acrobat, trapeze artist and tightrope walker, performing daring stunts, including tightrope-walking across Niagara Falls. Krao came into his life when he was working as a showman in London, where he also hosted other performances, including Rossa Matilda’s ‘human cannonball’. Ideas concerning race and Empire ran throughout Farini’s life, as they did throughout the publicity material for Krao’s act. Taking a break from showbusiness in the mid-1880s, he crossed the Kalahari Desert on foot – purportedly the first white person to do so. He wrote up this experience in 1886 in the style of an imperial adventure story as Through the Kalahari Desert: a Narrative of a Journey with Gun, Camera and a Notebook to Lake N’gami and Back. Ironically, given how publicly she was displayed, it is difficult to find out much about who Krao was besides the information provided by Farini. Not only is information scarce, but there are different versions of what happened, including conflicting information about where she was born, with reports variously stating Laos, Siam or Burma. As Farini narrated it in a pamphlet that he produced to accompany the exhibition, Krao was found as a result of a scheme between Farini and the zoologist and writer Frank Buckland to try to find the ‘missing link’ between humanity and the animal kingdom. Much of the account is difficult to verify, but it seems that Krao and her parents were captured, that her parents then died and that Krao was taken back to Britain, where she was adopted by Farini. She performed in London for some years, before being taken to the United States, where she continued to appear. It is difficult to ascertain the extent to which these later performances were of her own volition. She was always portrayed as voluntarily exhibiting herself but, as historians have often discussed, it is difficult to determine agency in such situations. It is clear both from the way in which the pamphlet accompanying Krao’s exhibition is written and from the newspaper coverage of the show that a key element of the exhibition was the idea that Krao represented a ‘missing link’ between humans and animals. This was not always accepted by audiences, who were sometimes sceptical of the claim. 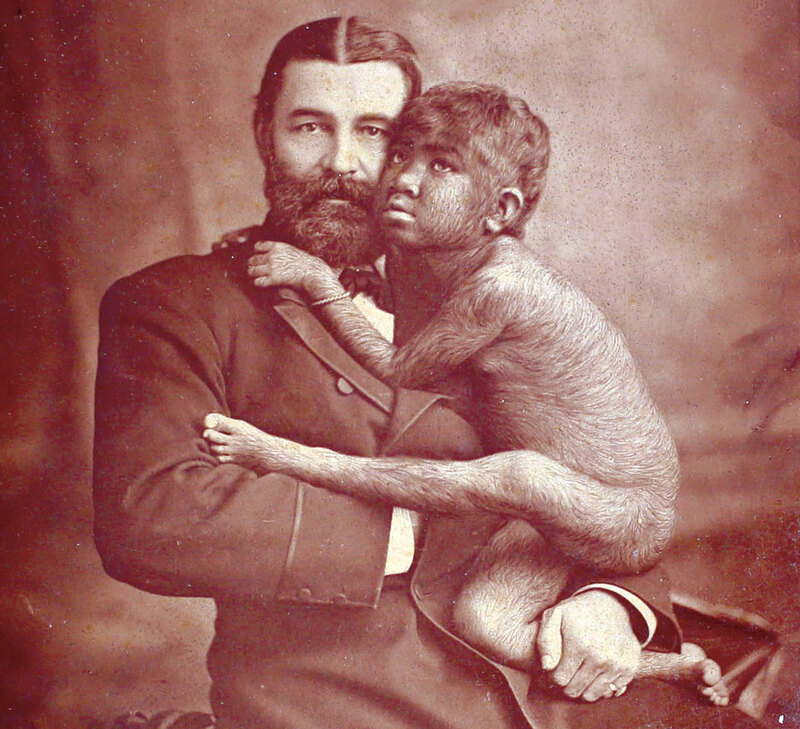 As a journalist for the magazine World put it in January 1883: ‘I have seen Krao, Mr Farini’s latest, and, whilst scarcely prepared to say that it comes up to my preconceived idea of what the “missing link” should be, cannot but express my conviction that the fact of the existence of a hairy race has been proved beyond a doubt.’ But what did it mean to be a ‘missing link’ and from where did the phrase derive? Disability is key to understanding the freak show genre. Disabled people were at the heart of such exhibitions. Amputees and those otherwise missing limbs were popular performers. In 1889, only a few years after Krao left the London stage, August bank holiday visitors were invited to the Ipswich freak show, where, among other performers, they could expect to see an ‘armless wonder’, a staple of the Victorian freak show, who was described as ‘a fearfully and wonderfully made individual’. The audience was invited to see him ‘accomplish with the sole assistance of his toes such difficult and delicate operations as shaving, hair-combing, playing the concertina etc’. The body of a person without arms was represented as ‘freakish’, while the skill and mastery of being able to use feet to perform the tasks that the arms and hands might usually do is represented as extraordinary. Those of short stature – such as General Tom Thumb – were also celebrities of the freak show circuit, as were those with visible, particularly facial, deformities. In 1847 the satirical magazine Punch mocked the phenomenon of the ‘freak show’ itself as an illness, publishing a cartoon entitled ‘deformito-mania’. The condition, it was claimed, was characterised by the ‘prevailing taste for deformity’. 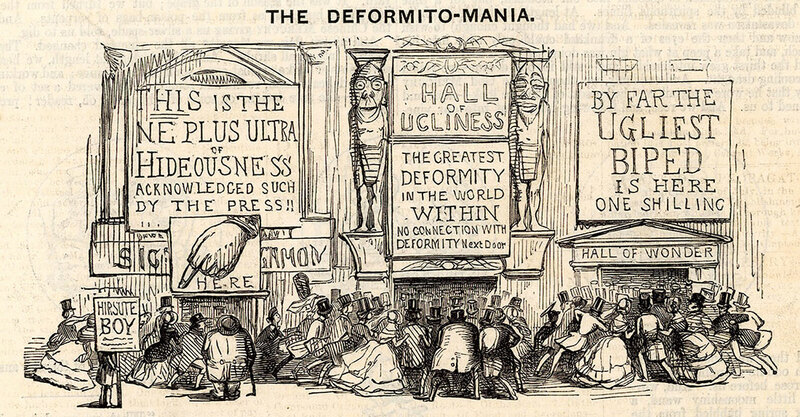 This cartoon showed a wall of advertisements for a ‘Hall of Wonders’; one boasts that the viewer can see the ‘Greatest Deformity in the World’ and another the ‘Ugliest Biped’. People are frantically trying to fight their way through the crowds to visit the exhibits, jostling and shoving each other out of the way. The composition presents the ‘ordinary people’, so desperate to see the show, as themselves a spectacle or exhibit worth seeing. The title, ‘deformito-mania’, suggests that the voracious appetite for these kinds of exhibits was a sickness in and of itself. There have always been people with bodily difference, including, for example, that of not being able to walk or work, or the visible difference sometimes discussed as ‘deformity’. But in the Victorian period these differences were concentrated on and commented upon more and more. The literary theorist Rosemarie Garland Thomson has argued that not only did freak shows reflect a growing interest in disability, but that they helped to consolidate what it meant to be disabled. That is, by marketing disabled individuals as different and, by members of the public going along to stare at, delight in and possibly ridicule ‘freaks’, ordinary men and women came to understand a fundamental distinction between those who looked and those who were looked at; the non-disabled and the disabled. Race is also important in understanding the nature of the Victorian ‘freak show’. At the time when Krao was being displayed, Britain was at the centre of a global empire. By the 1880s large parts of Africa and Asia were European colonies, as were Australia, New Zealand and Canada, all part of the British Empire. Indeed the 1880s and 1890s were a period that saw a rapid increase in European acquisitions around the world, most notably the ‘Scramble for Africa’. Such imperial rule was often based on violence and exploitation and ideas about race were fundamental in justifying this. Many people in Britain became familiar with people of colour through derogatory representations, such as cartoons. People who were seen as racially different were also displayed in exhibitions, ethnological displays and even exhibitions called ‘human zoos’. Freak shows were very much a part of this phenomenon. While the degree of publicity that Krao attracted was unusual, it is possible to tell that there were other ‘hairy women’ who took part in similar performances: ‘Mah-Me the Burmese Hairy Girl’ and ‘Mah-Phoon the Burmese Hairy Woman’, for example, were also both performing in 1886, when Krao was on the London stage. The fact that both these women were labelled ‘Burmese’ and appeared in what was claimed to be traditional oriental dress, which would have consolidated such associations, suggests that ethnic exoticism was part of the act. The publicity surrounding Krao’s display was important, too, in highlighting her racial difference. Just in case Krao’s physical appearance was not exciting enough for the audience, Farini embellished her act by publishing a long pamphlet, Krao the Missing Link, which was sold alongside the performance. It was a classic imperial adventure story that told of Krao’s ‘discovery’ by Farini. In the pamphlet, South-east Asia was contrasted with ‘civilised’ Britain, as a place ruled by tyrannical kings, where the intrepid white, male explorer battled treachery in the jungle to make his ultimate capture. Issues of gender also shaped the way in which Krao was presented. Hairiness was, in the Victorian imagination, closely linked with sexuality. The fact that Krao often appeared or was represented as being scantily clad would not have escaped her audience’s attention. As she got older she dressed (or perhaps was dressed) in a more feminine way. The magazine Land and Water wrote: ‘Krao has large lustrous eyes, a double row of teeth, and well-developed pouches in the cheek for storage of spare food, double-jointed knuckles, with a silky and universal covering of hair – a veritable fur coat – and evidence of soft, silky manners’ (6 January 1883). The contrast between her ‘lustrous eyes’ with its sensual connotations and also her ‘silky manners’ with her excessive hair, suggests some kind of incongruity. Similarly, a journalist in Nature magazine wrote: ‘Through the courtesy of Mr Farini I have had a private interview with this curious little waif. The head and low forehead are completely covered, down to the bushy eyebrows, with deep black, lank, lustreless hair. The whole body is also overgrown with a dense coating of soft, black hair about an inch and half long. The nose is extremely flat, with excessively broad nostrils merging in the full-pouched cheeks’ (Nature, 12 January 1883). Her feminine characteristics appear somewhat compromised by other elements of her physicality. 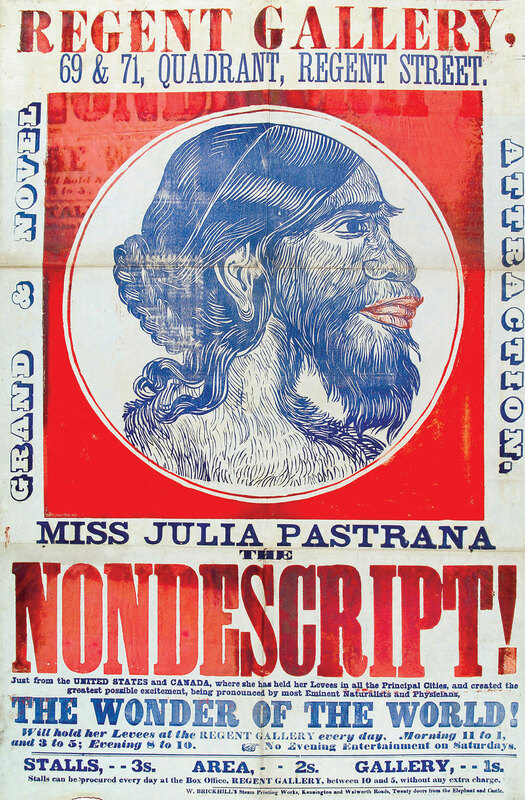 Similar things are evident in the representation of Miss Julia Pastrana, another performer on the freak show circuit, who sometimes performed under the title ‘The Ugliest Woman in the World’. Like Krao, Pastrana had a lot of body hair and was also described as having the following characteristics: ‘her Nose, Forehead and entire Face, shoulders, arms &c are covered with Thick Black Hair. She has no Pupil apparent in the Eye, no Cartilage in the Nose, with double gums in the upper and lower jaw, and only One Row of Front Teeth the Lower Jaw is much extended, and the angle of the face is very singular’. Whatever the degree of agency Krao was able to exercise, Julia Pastrana seems to have had even less. Even after her death – and against her express wishes – her body continued to be displayed for the purposes of public entertainment. After her exhibition in London, Krao went on to perform on the Continent and in the United States, until finally she managed to escape public attention. She died in 1926, probably around the age of 40. The fact that Krao, whose life can readily be understood as one of exploitation, was represented as ‘exotic’ and ‘freakish’, reveals a lot about the nature of Victorian entertainment. The ‘freak show’ was a place where ‘scientific’ ideas, such as evolution, came to be understood by a public audience and where attitudes towards race, gender and disability were crudely formulated. Esme Cleall is Lecturer in the History of the British Empire at the University of Sheffield.